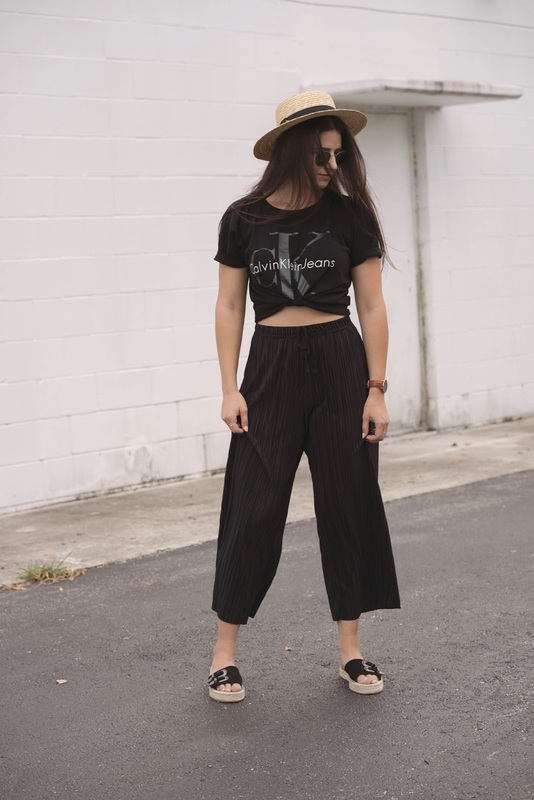 When I first saw the culotte/wide leg pant trend I don’t really know how I felt about it. It wasn’t until I tried some on that I realized what all the fuss was about. 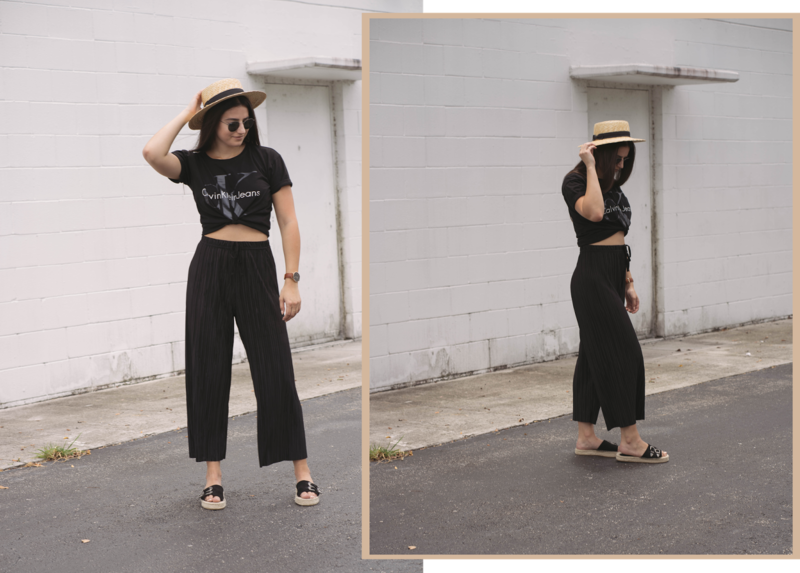 Sure they look cute and you can get away with wearing more cropped tops since they come up pretty high on the waist but aside from that they are INCREDIBLY comfortable. 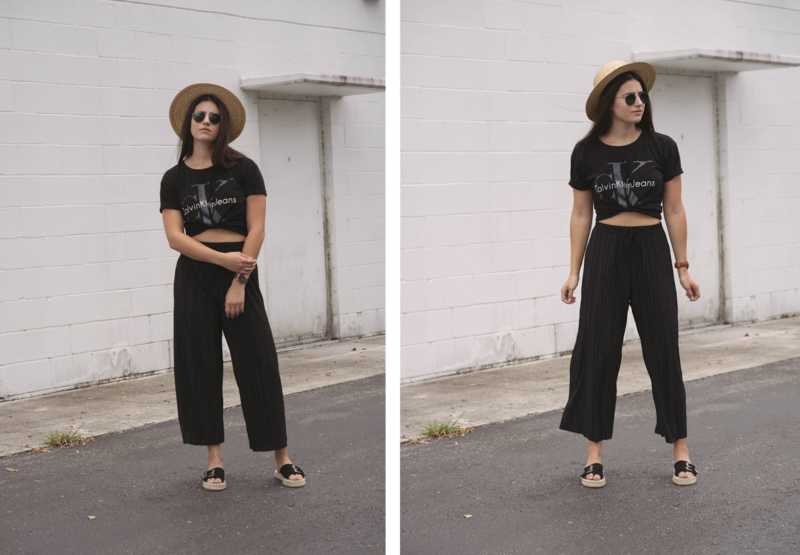 If you read last week’s Friday Five you would’ve seen me talk about flatforms & espadrilles. I’m going to have such a difficult time wearing anything else this summer. Espadrilles really scream spring/summer and platforms or in this case “flatforms” make such a statement on a basic sandal. & of course I had to pull out my favorite straw hat, this thing doesn’t get a rest all summer long.